Home / The Buzz / Are Guru’s ‘Reel’ Fishskins Loveable? Are Guru’s ‘Reel’ Fishskins Loveable? 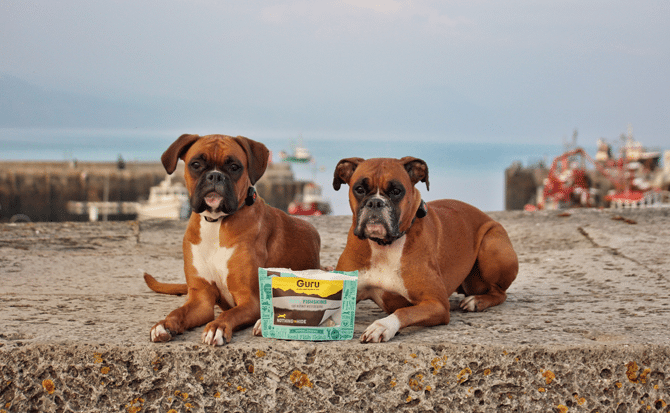 As you may know, we are Guru Pet Food’s ‘Loveable GeekSTARS’. 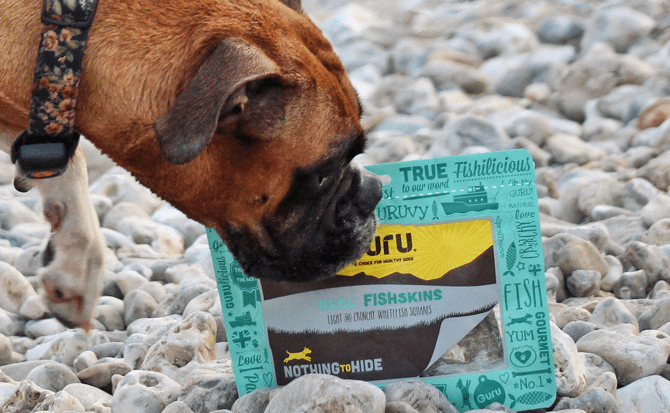 We took on their latest taste test to try out their brand new ‘Nothing to Hide – REEL Fishskins’ and its safe to say we were not disappointed! We are huge fans of fishy treats, so you can imagine how crazy our nostrils went as soon as mum opened our first packet of 100% white fish skins. These dried squares are perfect as a daily treat, we like to have one each before bed time. What makes these treats extra special? Well apart from their fresh tasting fishy goodness, they are hypoallergenic, gluten/ grain/ soya free and act as a natural dental aid! One thing we really did notice, is just how shiny our coats were. Ruby has always had a very shiny coat but Martha has a thicker coat which didn’t have that ‘reel’ shine before she started eating fish. These treats have now become part of our daily feeding routine. They are so tasty that Martha likes to attempt to eat them in one go! So that she enjoys it for longer, we cut it in half and soften them slightly in water so that they are easier to chew. Ruby loves the crunch and savours them which is great for her teeth! After our trip to DogFest Bristol with Guru, we bought another pack alongside their Venison Sausages. 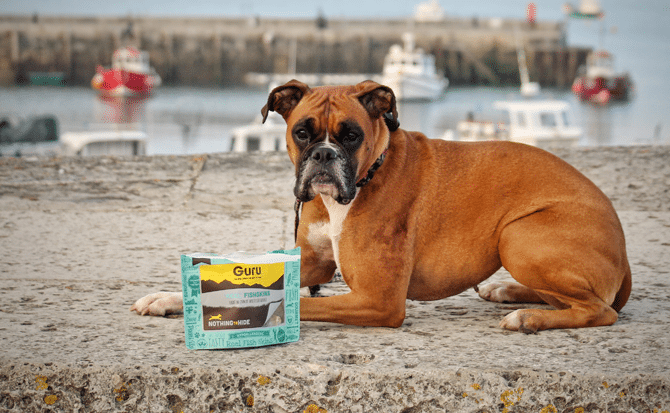 If you’d like to try some of Guru’s 100% natural and healthy fish skins, get your paws on some HERE and let us know what you think!